Wordsworth father was legal representative of James Lother, 1st Earl of Lonsdale. They lived large mansion in the small town. Williom's father inspired him to reading books for increase memory. First he attended a tiny school of low quality in Cokermouth, after then he attended the school of upper-class families. His mother died in 1778. He wrote sonnet and he published in The European Magazine, then he debut as a writer in 1787. He Recived B.A. degree in 1791. He enjoy his life walking tours, visiting bautiful places. He vsited also places like France, Switzerland and Italy. He wrote many famous poem like Simon Lee, We Are Seven, The Thorn, Nutting, Lucy Gray, Micheal, The Two April Mornings, Ode To Duty, My Heart Leaps Up, The Cukoo, I Wandered Lonely As A Cloud. 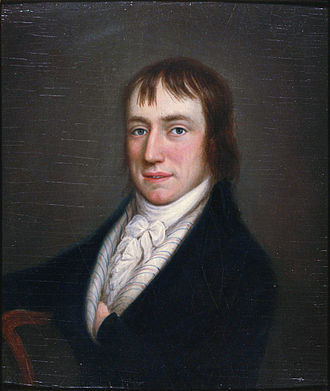 William Wordsworth died on 23rd April 1850 at home, and was buried at St. Oswald's Church Grasmere.